The latest gadget to get taken apart by the guys from iFixit is the new 11.6 inch MacBook Air, as usual they have taken their screwdrivers to it to see what is inside. There are quite a few changes in the latest MacBook Air, the flip-open port door has been scrapped and the IR sensor and sleep LED are no longer there, instead the new model has an extra USB port on the right site. 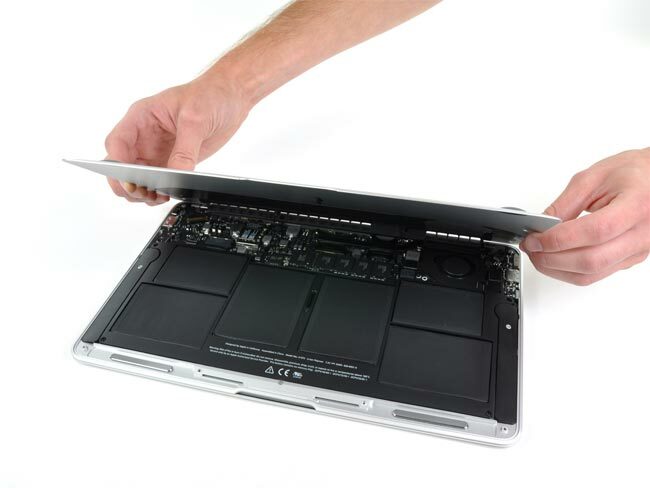 You can find out full details of what is inside the new MacBook Air over at iFixit, along with lots more photos of the teardown.